Large split bedroom with beautiful view of the Turnberry Golf Course plus a picturesque view of the pool, clubhouse, and recreational areas. All assessments have been paid and renovations are ongoing, which will greatly enhance the interiors and common areas of all three buildings. The free shuttle bus transports residents to the Aventura Mall, Cultural Center, hospitals, offices, restaurants, banks, and parks. Schools nearby. 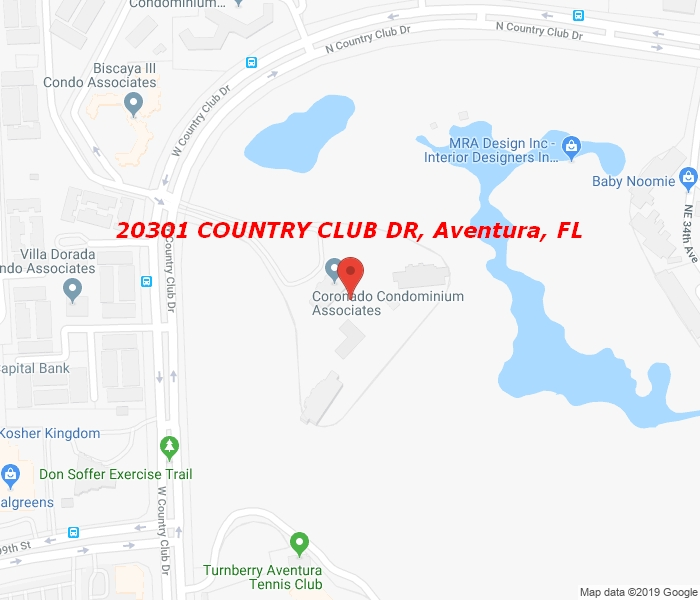 The buildings are contiguous to the famous and beautiful Turnberry Golf Course and directly on Country Club Drive. Easy to show, presently vacant, with a great potential.